Dylan, meaning son of the sea, appeared on the charts for the first time in 1958 on position #1636. In this article you'll learn the history of this name, statistics, see famous people named Dylan and more. Are you having a baby or looking to learn more about the name Dylan? Our experts and editorial staff have gathered trends and insights for 30,000+ baby names over the last 100 years -- And on this page you will learn everything you ever wanted to know about the name Dylan. The baby boy name Dylan was given to 9,920 baby boys in 2012, ranking #31 on the national boy baby name top chart. With that position 1 in 165 baby boys were given this name - making this a popular male name according to our Popularity Score algorithm. Dylan peaked in popularity 16 years ago in 2003 on position 19. How would you rate Dylan, 1-5? Did you know that popularity can vary a lot between states? Dylan is currently topping the baby name charts in New Jersey at position #13 - and is the least popular in West Virginia at position #81. Why care about state specific baby name charts? It could be that a name that is very popular on the national overall charts is less (or even more) popular where you live. So make sure you check out the state specific charts below and find out how popular or unique Dylan is where you live. Looking for a popular and unique name? Just because Dylan is a popular baby name it doesn't mean that every other kid on the block will have the same name. In fact, assuming that little Dylan goes to a school with 500 kids there will actually be less than 2 other boys in that school with the same name. Unique and popular! Dylan is a 5 letter name with 2 syllables. This name means son of the sea. To see famous people named Dylan, pop culture references for the name Dylan and nicknames & variations - visit Nameberry or Wikipedia. We've found the following names that sound similar to Dylan, sorted by popularity. 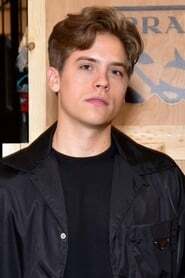 Is Dylan a common or unique name? What is the number of syllables for the name Dylan?